AstroSat was launched on September 28 atop a Polar Satellite Launch Vehicle, successfully placing the 1,513-Kilogram satellite into an equatorial orbit of 630 by 650 Kilometers at an inclination of six degrees – an orbital setup carefully selected for this mission to limit the duration of passages through the South Atlantic Anomaly where radiation levels peak and can cause damage to the delicate instrument detectors. 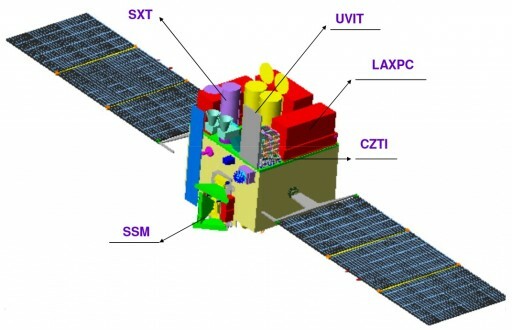 The AstroSat spacecraft is outfitted with five co-aligned instruments to conduct studies by imaging targets in the ultraviolet wavelengths as well as a broad X-ray energy range. One day after its launch, AstroSat activated its first payload systems beginning with the Charged Particle Monitor – a sensor designed to detect changes in proton and electron flux to determine when the satellite’s instruments have to be switched off to protect them from radiation-related damage, e.g. when flying through the South Atlantic Anomaly. The initial spacecraft checks also revealed that the data handling systems, the communications systems, the spacecraft controller and all platform systems were functioning as planned. 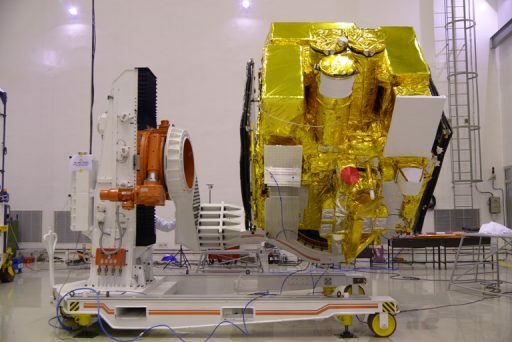 Working through a methodical process, Indian mission controllers initially powered up the Soft X-Ray Telescope which covers an energy range of 0.3 to 8 kilo-Electronvolt utilizing a Wolter I design that makes use of grazing incidence optics to focus the incoming X-rays onto a 600 by 600-pixel CCD detector. Once activated, SXT showed good voltages and switched to its calibration mode. The next instrument to be activated was the Large Area Xenon Proportional Counter (LAXPC) that aims to detect X-rays at energies of 3 to 80 keV by using a chamber filled with Xenon gas which, when struck by a high-energy x-Ray photon, generates ion-and-electron pairs detected via their electrical current that is in proportion to the energy the original X-ray possessed. The Scanning Sky Monitor was commanded to begin rotating its sensors on the third flight day, following a similar detection principle as LAXPC but using a rotating sensor to cover a large area of the sky for the detection of X-rays at energies between 2 and 10 keV. By October 1, the Charged Particle Monitor was declared operational, actively controlling the operation of the other instruments and triggering deactivation commands in case particle flux levels rise above a programmed threshold. The Cadmium-Zinc-Telluride Imager powered up its electronics to begin checkouts of the instrument. CZTI puts to use an array of detector elements to image X-rays from 10 to 150 keV and conduct photometric studies for hard X-rays up to 1 mega-Electronvolt. The initial data returned by CZTI showed a good powered state of the instrument, allowing controllers to activate the high-voltage detector systems. On October 5, CZTI was declared operational and began collecting science data with a one-day integration on Cygnus X-1, a well known X-Ray source that represents one of the most studied astronomical objects, making it suitable for calibrations of the CZTI instrument. CZTI was oriented to point at Crab Nebula on October 6, a supernova remnant that includes the Crab Pulsar, the brightest source in the sky for hard X-rays and therefore often used for calibration measurements of space and Earth-based instruments. The initial attempt to collect data on Crab Nebula was not successful because the satellite’s instruments were deactivated by the onboard safeguard when detecting the observatory was passing through the South Atlantic Anomaly. Analysis of data showed that Crab Nebula was captured later in the observation session when it emerged from behind Earth, causing detector count rates to rise above their background level of around 9 counts per detector to approximately 20 counts per second, providing operators with a confirmation that the instrument was picking up a bright X-ray source. 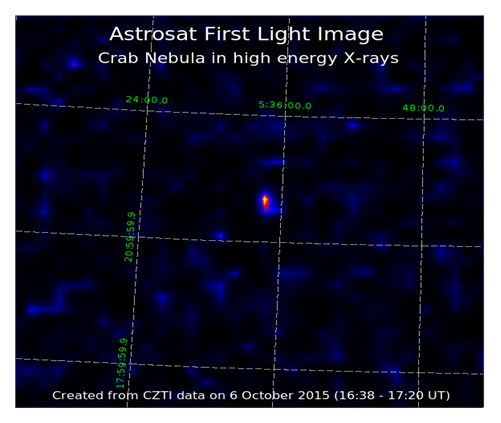 Processing of the data from the 42-minute Crab Nebula observation yielded the First Light image for the AstroSat mission. The image displays only the hard X-ray spectrum above 25 keV and shows Crab Nebula as a bright object surrounded by artifacts that will be removed as part of data processing. CZTI reached an image resolution of 10 arcmin which will be improved over the course of instrument commissioning to around 8 arcmin. Additional work will be carried out to bring down the lower energy threshold to 10 keV as part of the commissioning phase. 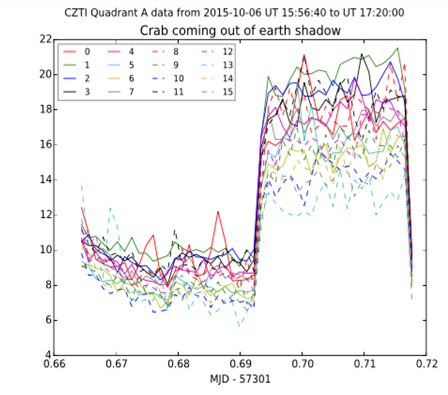 Starting on October 12, the Scanning Sky Monitor became operational and joined the observation of Crab Nebula. 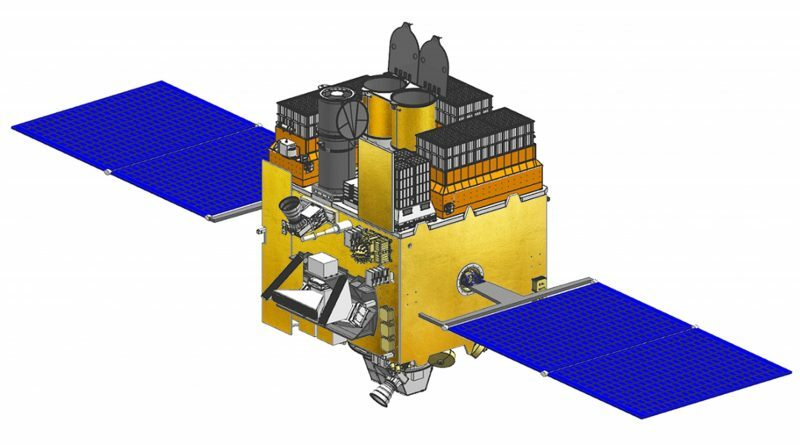 AstroSat will complete coordinated observations with other space observatories including NASA’s Swift and NuSTAR satellites to provide additional data for the calibration of the instruments and an assessment of detector drifts. Commissioning of the remaining AstroSat instruments will continue over the course of the next three weeks to prepare the X-ray instruments to begin regular operations in November when several coordinated observation campaigns are planned, focused on back holes and black hole candidates.